Cleaning your chimney is extremely important because build up in your chimney can cause a fire. Whether doing it on your own or getting it cleaned by a professional, it is important to know the steps to cleaning a chimney. This is a guide to saving money on Chimney Cleaning. Heating your home is a large expense, and maintaining the heating system only adds to the expense. For most people, scheduling a chimney cleaning isn't an essential phone call. Yet for everyone who has any type of furnace or heating stove, it is a safety measure that can't be overlooked. No one in my family ever had a chimney cleaning; they all have oil heat. The assumption that chimney sweeps are employed only by those who use fireplaces, wood stoves, pellet stoves, or coal burners is wrong. After a heavy rainstorm our basement took on a small stream of water starting from the base of our chimney. It concerned me, but after a quick visit from our chimney sweep I was assured that the sixty year old chimney simply needed a cleaning. After all these years the oil burner hadn't sent soot into the chimney like a wood stove would have done, but debris and dirt entered the chimney from the other end. It was news to me that I should have called a sweep earlier, and it made me wonder what fire risks I had luckily avoided all these years. 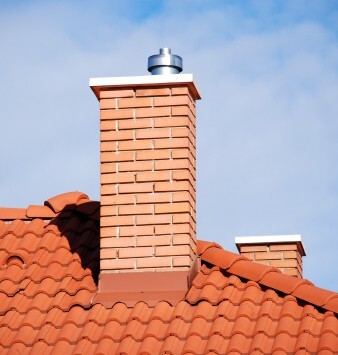 According to the National Fire Protection Association, "Chimneys, fireplaces, and vents shall be inspected at least once a year for soundness, freedom from deposits, and correct clearances. Cleaning, maintenance, and repairs shall be done if necessary." The Chimney Safety Institute of America recommends that those who use their chimneys for open burning equipment have their chimneys checked monthly if not bimonthly as needed. Even gas and oil heating systems require chimney cleaning. The major problem that occurs in these systems, is debris and animal nests that can be built in the chimney. 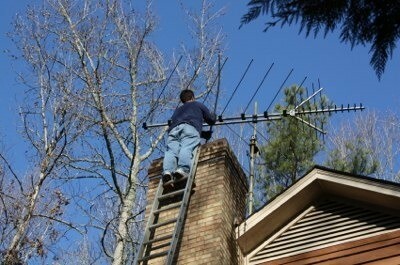 While everyone should have his/her chimney cleaned, some homes require more intense maintenance. My chimney lasted sixty years before the bottom built up with debris. We were lucky. Yet, those who use their fireplaces or wood burners can't wait that long. In 1982, the US Consumer Product Safety Commission reported that wood burning heaters were responsible for more fires than any other heating equipment in the United States. While researching, the CPSC put most of the blame on chimney problems. Those who burn wood are at the highest risk for creosote buildup, though all chimneys can have it. At any point that the creosote builds up to one quarter inch or more, the chimney is going to need to be swept. The problem that everyone is looking to avoid is a chimney fire. While some fires may stay contained within the chimneys, as chimneys are designed to do, they can easily spread and ignite the entire house. Some homeowners are unaware that they've even had a fire in the chimney. Sometimes the fire begins and ends without detection, leaving behind serious damage to the inside of the chimney which could lead to problems down the road. A good chimney sweep will not only clean the chimney, but he will inspect and repair its lining as well. The more silent concern is one with which oil heat customers may be familiar - carbon monoxide. A blocked chimney, as with a clogged furnace, can send poisonous carbon monoxide into the home. This gas prohibits the body from absorbing oxygen, causing a quick and quiet death. Allowing the chimney to "breath free" will keep the carbon monoxide outside where it belongs. Now that fall is upon us, this is a good time to check out your fireplace. If you need to call in a chimney sweep, do it now, before he is in big demand. In our area, we only have one chimney sweep. His rates are lower during the warm weather and higher during the winter months. He explained it to me this way: In the summer, he has some days of no work, and at the most he may work 8-10 hours a day. During the winter, he is in demand and people need his service and he may be working 10-14 hours a day. He feels he deserves "overtime pay" as most others earn, plus he has to pay his seasonal winter help overtime as well. In addition, colder weather also brings on a more dangerous work environment, such as snow or ie on the roofs, and having to set his ladder in snow or ice. So, for your pocket book sake and for safety sake, if you need a chimney cleaning, call and schedule it now.